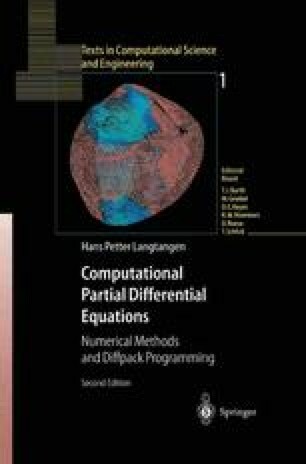 This chapter extends the numerical methods and software tools from Chapters 1–3 to nonlinear partial differential equations. Chapter 4.1 deals with discretization techniques for nonlinear terms in PDEs and algorithms for solving systems of nonlinear algebraic equations. Software tools supporting the implementation of the methods in Chapter 4.1 are described in Chapter 4.2. The application are as are limited to scalar PDEs, but the methodology in this chapter is straightforwardly applied to systems of PDEs and more challenging applications in Chapters 5.2, 6.3, and 7.